Now that we’re officially into summer time (and the weather is actually agreeing with us), home sale season is in full swing. All across the country, homeowners are dusting off the barbecue’s and grabbing themselves a cold beer in the garden in the evening. And to match them, a group of buyers are all looking for that perfect outdoor space to enjoy in their new home. 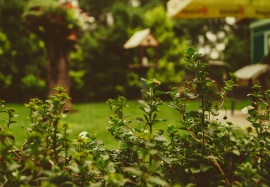 If you’re looking to sell your home in the summertime, your garden is one of your biggest assets, and used correctly, it can significantly increase the value of your home. So now that it’s sunny and warm and the buyers are flooding in, it’s time to turn your attention to your garden. Basic maintenance is the foundation of a good garden. Before you go making any huge sweeping changes, put some time aside to take stock of what you’ve already got, and put it in good condition. This includes getting rid of any clutter, pruning overgrown trees and shrubs, removing any weeds and potentially also removing any plants that are looking a little worse for wear. This will automatically make everything clean, tidy and well-kept. If you want to bring some colour and vibrancy to your garden, you can’t go wrong with flowers. You could dot flowers around your outdoor space, plant full flower beds or create planters and pots of colour. You can really have fun here, playing with height, colour and style to add some real personality to the space. But don’t just plant and leave. Make sure you keep the appearance of your garden in mind while you’re looking for a buyer, keeping the flower beds maintained and free of dead growth and weeds. Prospective property buyers typically have a really keen eye for detail – which means you do too if you’re looking to sell. Things you normally wouldn’t do anything about, or haven’t noticed, will be glaring in the eyes of a buyer. Leave no stone unturned – keep an eye out for fences that need a lick of paint, patio paving that could be repointed or gutters that need cleaning. Take care of any garden ornaments that look a bit weathered (even if you just put them in storage), and keep an eye on these little details to improve the appearance of your garden. The lawn is a bugbear for many, or a point of pride for others. But it’s also usually the biggest part of the garden visually, so it’s important that it makes a good impression. Make sure it’s cut when it starts to get unruly, trim and edge it to keep some separation and neatness, and treat it if you can see yellow or dead patches begin to appear. And finally, if your home has a spacious garden, you’re much more likely to impress a prospective buyer. While you can’t increase the size of your garden if it’s small, you can still do some things to make it feel more spacious than it is. A few things you could do are use tall, thin plants to allow more light to reach your garden, and use climbing plants around the edges to soften up the boundaries and make them feel more flexible. You can also put any big bulky items, like lawnmowers and barbeques into storage to free up more space. At this time of year, the garden takes on a really important role when selling your home. By taking these small steps to improve it, you can give your garden a new lease of life and increase the overall value of your home at the same time. 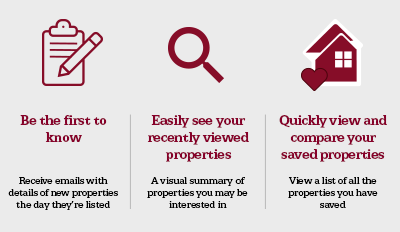 If you would like to find out more about how to increase the value of your property, or you have a property you would like to sell, please just get in touch with the team at Northwood today.